To celebrate the Vidyadhara’s life; to expand the general knowledge and understanding of his teachings; to trace his legacy and influences into the current era; and to foster a sense of community among people who share a common interest in his life and work. The Chronicles was founded in 2002 and is comprised of two organizations, one based in the US and the other in Canada. Our US Board of Directors includes Peter Volz, Hazel Bercholz, Marguertie Prentice, Joanne Fordham, and Walter Fordham. Our Canadian Board members are Barry Boyce, Judith Boyce, Carolyn Gimian, Joanne Fordham, and Walter Fordham. The Chronicles of Chögyam Trungpa Rinpoche bears the Vidyadhara’s name with the express permission of Lady Diana Mukpo. We offer our heartfelt gratitude to Lady Diana for her permission, blessings, and trust. Thank you also to all Chronicles supporters, those who have given smaller and larger amounts through the years. Without you, we certainly wouldn’t be here. Thank you to Julia Sagebien, our award-winning Chronicles Radio interviewer and host of Mosaics and Dispatches; to Grant MacLean, the tireless and illuminating researcher Trungpa Rinpoche’s escape from Tibet; to Marty Janowitz for always Cooking Rice, Barry Boyce for being willing to Let Loose, and to Carolyn Gimian for always being there. Thank you also to Marguerite Sands, Howard Harawitz, Stefan Carmien, Mark Szpakowski, Tom Crow, Gordon Kidd, Alan Kelly, Edzard de Ranitz and Brad Hoffman for technical and design support; to the many photographers who generously lend us their eye, especially Marvin Moore, Marvin Ross, Diane Church, Bob Morehouse, Mary Lang, Hudson Shotwell, Robert Del Tredici, James Gritz, Blair Hansen and more; and thank you to Brad Hoffman for coming to our rescue. We especially want to express our gratitude to Francoise Guyaux at Elephant.ca, the impeccable developer and designer of these new Chronicles. Joanne and Walter Fordham founded the Chronicles in 2002. They became students of Trungpa Rinpoche in the 70s, and served in his household from 1976 through 1987. They moved from Boulder to Halifax with their family in 1988. The Chronicles maintains two website: The Chronicles and Ocean. The Chronicles is a repository of teachings, articles, interviews, news and podcasts pertaining to the life and teachings of Chogyam Trungpa Rinpoche. It is also on ongoing oral history project, recording and preserving the recollection of people who have been influenced by his work. The Chronicles is open to the general public. Ocean is an online community. It’s mission is to further the study and practice of Chogyam Trungpa’s teachings, and to nurture community amongst old and new students. Ocean offers both introductory classes and a broad curriculum of in depth learning, drawing from all aspects of Chogyam Trungpa’s teachings. It is also developing a network of support for all levels of dharma practice. Ocean is available to its members; membership is free. The Chronicles is a registered non-profit society in the Province of Nova Scotia. The newly formed US-based Chronicles of CTR has applied for 501C3 status. Watch this space for updates. The Chronicles of Chögyam Trungpa Rinpoche is supported by its readers through donations. The Shambhala Archives is a repository of film, audio and video recordings, photographs, transparencies, manuscripts, books, and artwork by Venerable Chögyam Trungpa Rinpoche, and Sakyong Mipham Rinpoche—the current lineage holder of the Shambhala Tradition and Teachings. The mission of Kalapa Media is to communicate the vision, teachings, and culture of Shambhala and the Sakyong lineage through publications, recordings, and other media. Kalapa Media also includes the Shambhala Archives and Shambhala Online. The Chögyam Trungpa Legacy Project exists to preserve the teachings of the Venerable Chögyam Trungpa Rinpoche and to facilitate the practice, study, and application of those teachings by as broad a public as possible in order to foster wisdom and compassion. 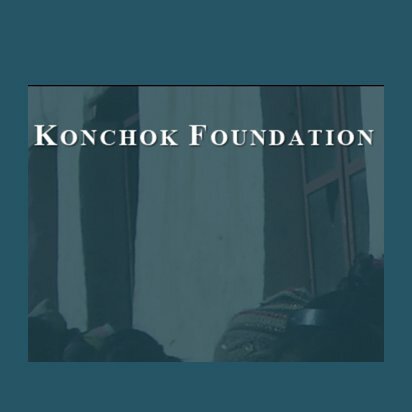 The mission of the Konchok Foundation is to help meet the spiritual, cultural, educational and humanitarian needs of the Tibetan people in Surmang and elsewhere in eastern Tibet.